Parent's hands holding newborn legs. 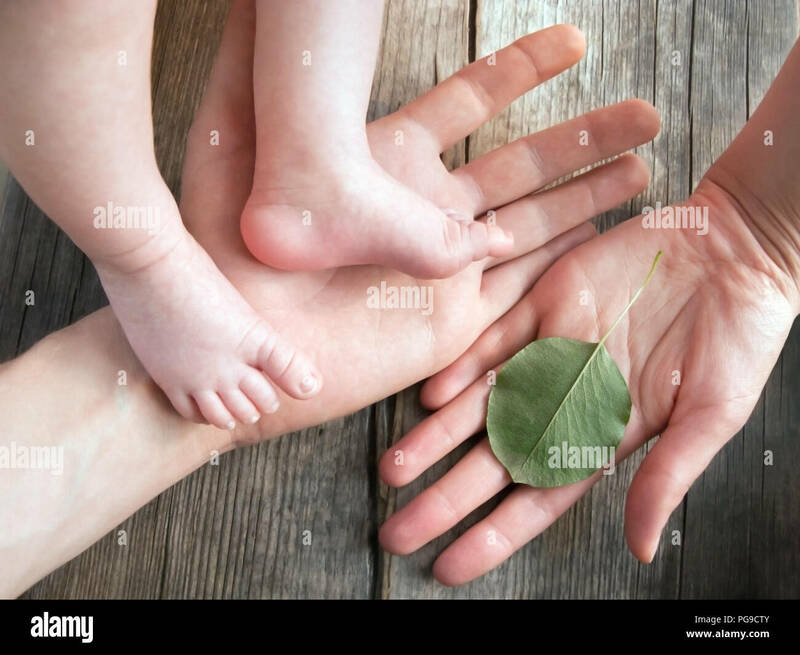 Baby's feet in parent's hands. Daddy holding his newborn baby's feet. Father's hand holding baby's legs. Human hand holding green leaf. Happy family concept.